U.S. Politics Is Washington experience no longer relevant in the U.S. presidential race? Is Washington experience no longer relevant in the U.S. presidential race? 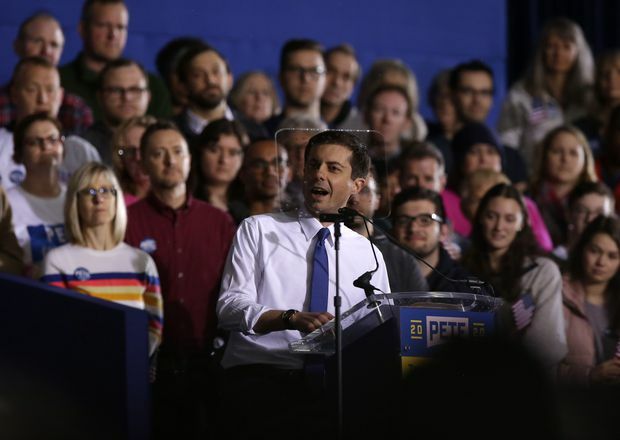 Pete Buttigieg, the gay, liberal mayor of a small American city in the conservative bastion of Indiana, has officially launched his presidential bid, joining a crowded field of Democrats vying for their party's nomination in 2020. Gerald Ford had more of it than Jimmy Carter. George H.W. Bush had more of it than Ronald Reagan. Al Gore had more of it than George W. Bush. Richard Nixon had more of it than John F. Kennedy. And Donald Trump had none of it at all. But the question is this: Does Washington experience – or other political experience – really matter, in seeking the American presidency or in actually being the American President? It is an academic question – scholars have been debating this for more than a century – but it is also a practical one, particularly relevant as nearly two dozen Democrats, many of them with little or even no traditional experience, seek to defeat an incumbent President who himself had no traditional political experience. The latest is the mayor of South Bend, Ind., who officially launched his campaign on Sunday. Pete Buttigieg has already attained zeitgeist status with his fresh face and folksy manner that overshadow his inexperience at 37 years old. The 2020 Democratic field is unusually weak in traditional presidential preparation. Seven of the party’s White House hopefuls have been on Capitol Hill only six years. One of them, Kamala Harris, has been in the Senate only two years. Two of them have never served in an office higher than mayor. Two of them – one an entrepreneur, the other the author of spiritual and self-help books – have no political experience at all. And one of them with enormous experience – Jay Inslee, with 15 years in the House of Representatives and six as governor of Washington State – isn’t considered a major contender. The reigning champions in experience are Senator Bernie Sanders (with 16 years in the House, 12 in the Senate and eight as mayor) and a figure who hasn’t yet decided whether to run, Joe Biden (with 36 years in the Senate and eight in the vice-presidency). Historically, experience has waxed and waned in importance. John Quincy Adams went to the White House after serving as American ambassador to the Netherlands, Prussia, Russia and Britain, as a U.S. senator and as secretary of state, where he was responsible for creating the Monroe Doctrine. Then again, Abraham Lincoln served only a single term in the House. In a decade where a sitting president, Barack Obama, served in the White House four years after taking roll calls in the Illinois state senate, it may be that traditional political experience is in one of its periods of decline. But in a broader sense, there are all sorts of experience. There’s traditional experience in the Senate, in the House and in governors’ offices. There’s life experience, which assisted both Lincoln and Harry Truman. There’s military experience, which no president has had since 1993 but which was an important element in the background of 26 of the presidents, including a dozen former generals, six of them in the Civil War and seven presidents who served in the Second World War. Then, to turn the notion of experience on its head, there is the experience of living through the more than two years of the Trump presidency, a factor that has emboldened many of the 2020 aspirants. The irresistible conclusion: There is no specific formula for political or presidential success. That goes for formal education; nine presidents, ending with Mr. Truman, today regarded as a successful chief executive, didn’t have a college degree. Even so, most students of politics agree that over all, experience is more of an asset than a burden. Late last year, the Des Moines Register poll in Iowa, the state holding the first test of the 2020 political season, showed that half of likely Democratic caucus attendees believed the best choice to defeat Mr. Trump would be a seasoned politician rather than a political newcomer – a result sure to comfort Mr. Biden as he contemplates a presidential campaign. But Ann Selzer, who conducted the poll, warned that the results do not necessarily foreshadow defeat for the passel of newcomers.